This week I had to prepare a 30 min presentation for an audience of scientists with no glaciological background. 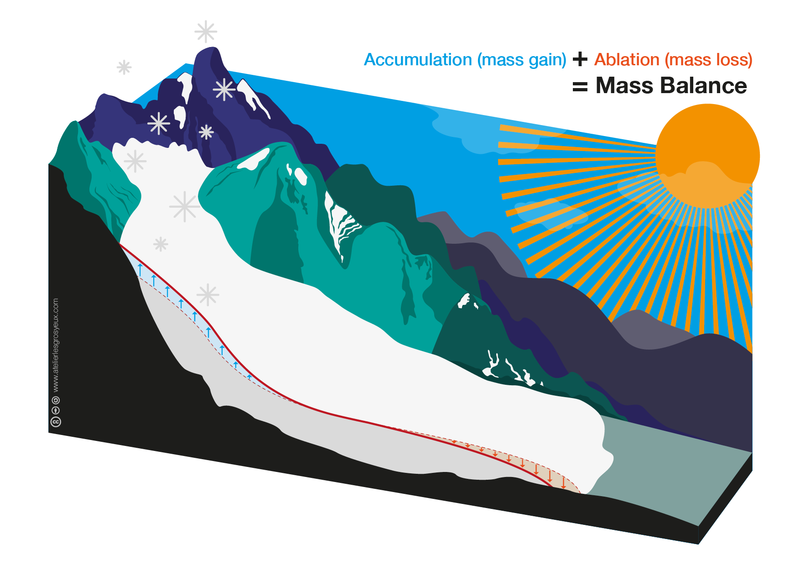 I wanted to explain some basic concepts of glaciology, such as accumulation, ablation, equilibrium line altitude and mass movements in a glacier. Since I’m no good at drawing and I thought these kind of graphics might be useful on other occasions, I asked a professional graphic designer (who also happens to be my sister) to make a series of simple glacier graphics that I could click through while explaining the major concepts. Since these images might be useful to others, we decided to release them under an open license. You’ll find all these graphics (as well as some other charts) on a dedicated repository.